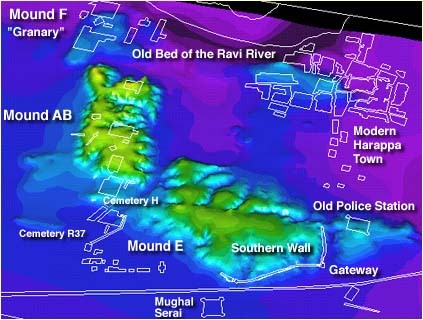 A computer visualization of the ancient Indus Valley city of Harappa in based on M.S. Vat's excavations at the site in the late 1920s. By Wayne Belcher. Based on the Harappa Archaeological Research Project (HARP) excavations in the 1980s and 1990s.